American manufacturer of computer electronics Western Digital released the financial report for the third quarter of fiscal year 2015. The company's revenue for the period amounted to $ 3.5 billion, while net profit reached 384 million dollars, which corresponds to 1.63 dollar per share. According to calculations, not generally accepted accounting principles (GAAP), net profit of Western Digital has made 441 million dollars or 1.87 dollars per share. In the third quarter of last year, according to calculations, the company reported GAAP revenue of $ 3.7 billion and net income of $ 375 million ($ 470 million not GAAP). 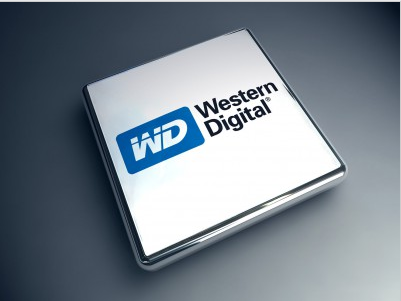 In the third quarter of fiscal year 2015 revenues Western Digital has made 684 million dollars in cash. At the end of this period, the total amount of the company's revenue in the form of cash and cash equivalents totaled $ 4.8 billion. According to the information, during the quarter the company used $ 240 million to repurchase ordinary shares in the amount of 2.2 million. 3 February, the company announced dividends in the amount of US $ 0.50 per ordinary share and paid their April 16, 2015. "I'm happy with our work and its results, particularly in terms of declining demand for personal computers. The third quarter was the best for us, as increased average selling price and gross profit of the company. We continue to balance between short-term and long-term opportunities, try to allocate capital wisely. In the current fiscal year, we returned $ 1.1 billion to shareholders for buying shares in the form of dividends, and now continue to invest in promising areas, "- said Steve Milligan, president and chief executive officer of Western Digital. © Copyright 2016 Technology News. Designed by - Tech Pro.